Datasat and Auro-3D to showcase new immersive cinema at ISE 2014 | What Hi-Fi? 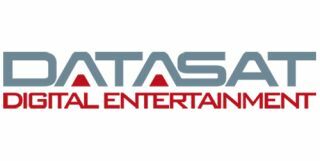 Datasat Digital Entertainment has announced that the Integrated Systems Europe (ISE) 2014 show, taking place next week, will host what it describes as "the world's first immersive sound experience for home cinema". The company, known for its high-end consumer AV processors, has partnered with Genelec, Lang AG and Screenline to create the experience, which give visitors to ISE the opportunity to try out a new take on immersive home cinema. Auro-3D sound technology is what's at the heart of Datasat's cinema system. Auro-3D adds height and top layers to standard surround sound, right up to 13.1 speaker configurations, with a variety of differently specced systems possible. Previuously only available in professional installations, and a rival to Dolby Atmos, Datasat is now hoping to bring the Auro-3D technology to homes. There's no native content available to consumers with Auro-3D as yet but this could change. For now, it's a matter of processing. Datasat CEO Ciaran Doran said: "We have created the Immersive Sound Experience to demonstrate the potential that new sound formats have to transform home cinema. "This is an evolution in Surround sound but its effects are revolutionary. Auro-3D makes the entire listening experience so much more realistic and absorbing." • Don't forget to keep checking whathifi.com between February 4th and 6th as we'll bring you all the latest news from the ISE 2014 showfloor at the Amsterdam RAI.